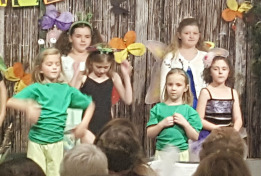 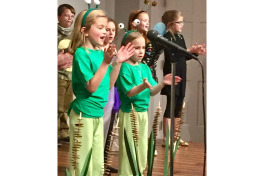 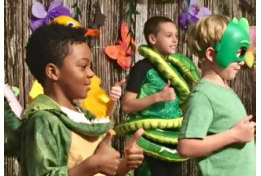 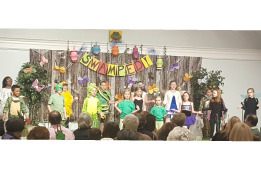 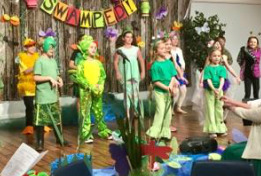 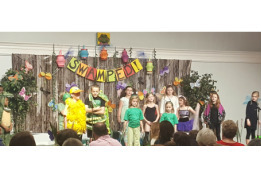 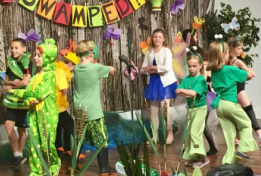 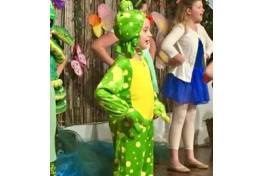 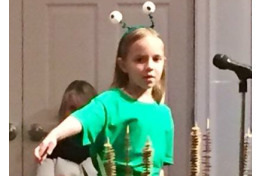 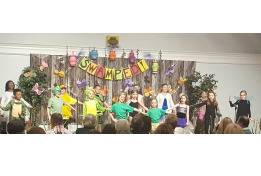 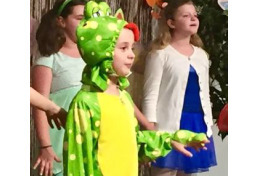 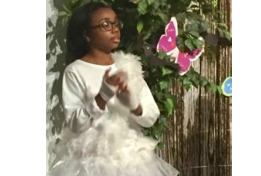 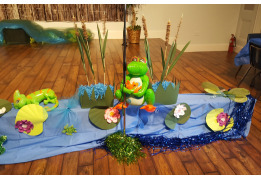 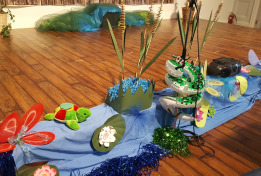 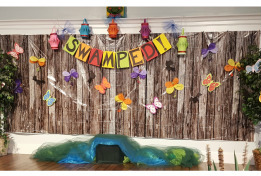 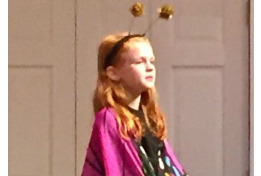 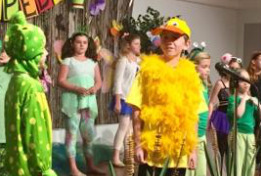 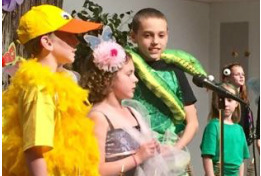 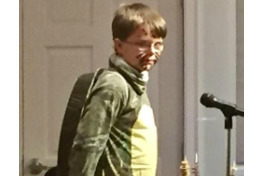 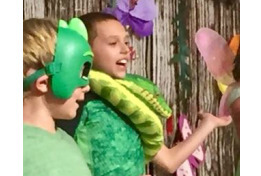 At Missions Marketplace 2017, Lakeside's children presented SWAMPED!, a musical which tells the story of critters enduring life changes and abiding together through differences and of how our faith helps us to find strength, courage and resilience in these times. 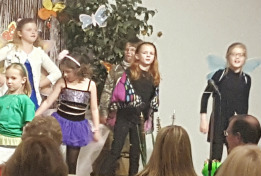 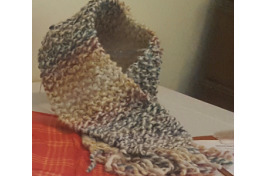 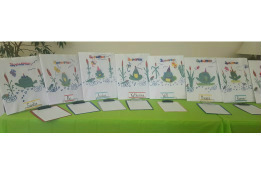 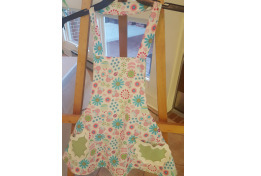 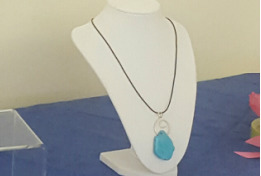 Missions Marketplace celebrates the talents of Lakeside's children and provides an opportunity for them and others in our congregation to use their talents to raise awareness and money for missions. 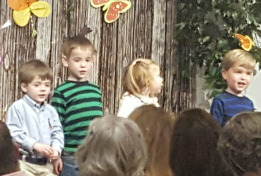 It is the culmination of the mission projects and lessons in which the children have participated during their Sunday evening Missions and Music time throughout the year. 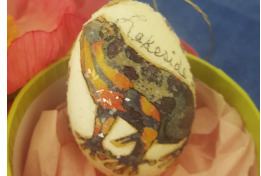 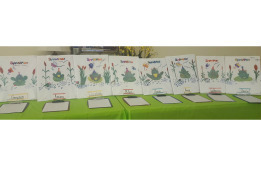 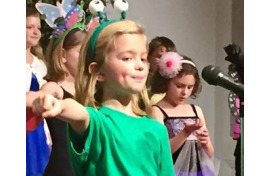 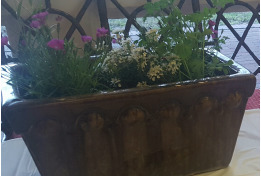 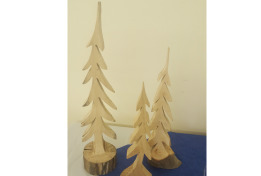 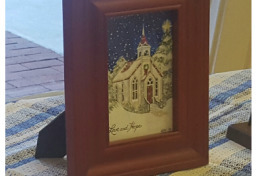 This event, which is usually held in early spring, includes a dinner and talent show, an art gallery, and a silent auction of art and craft items created by our children and local artists in the congregation. 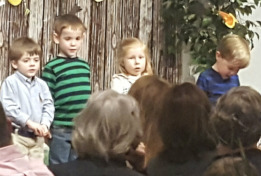 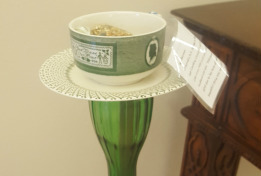 The money that is raised is divided between a local ministry which is chosen by the children and the Global Missions Offerings of the Cooperative Baptist Fellowship and Alliance of Baptists.